The day-to-day management of Het Nieuwe Instituut is carried out by the Board of Directors and the Management Team, made up of the managers and department heads of Agency, Business Development, Heritage, Programme, Research, Finance and Human Resources. A four-member Board of Trustees supervises the general state of affairs within the foundation as well as the policies of the directorate. It also provides advice in support of the directorate. The director, appointed by the Board of Trustees, is charged with administering the foundation and bears final responsibility for the organisation as a whole. The professionalisation and pragmatisation of the Dutch cultural sector have placed new emphasis on monitoring the quality of management and oversight within cultural institutions. The government's cultural governance code sets out principles of good management, satisfactory oversight and transparent accountability. 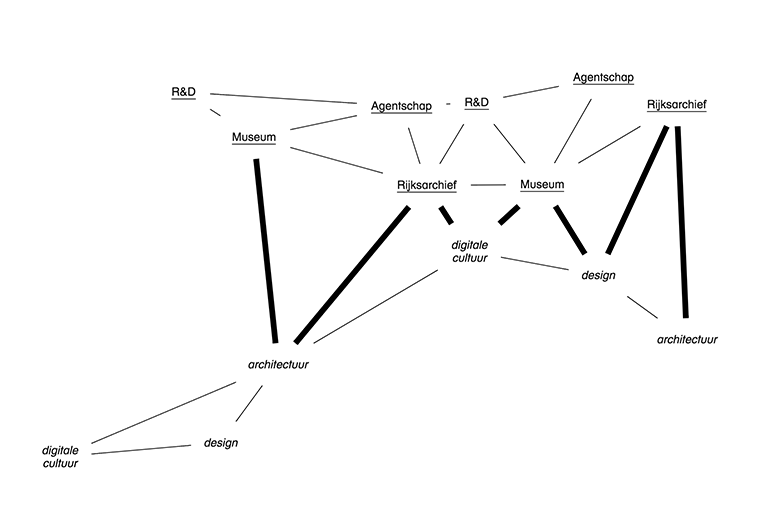 Het Nieuwe Instituut is governed according to a Board of Trustees model and adheres to the cultural governance code’s recommendations. Het Nieuwe Instituut is a Public Benefit Organisation and has an ANBI-status. Please find the Het Nieuwe Instituut's ANBI-information on this page (in Dutch).